Jordan B. Tinsley is an Arkansas native and a partner at Tinsley & Youngdahl, PLLC. Jordan has always enjoyed advocating on behalf of causes in which he believes, and he began training for his career as a litigator by participating in the Arkansas High School Mock Trial Competition in the ninth grade. 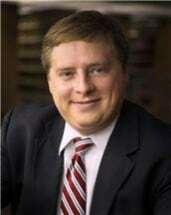 Jordan's specialties include Criminal Law, Civil Litigation (especially in probate and regulatory law matters), and Small Business Representation. Jordan received a Bachelor of Arts degree in English from the University of Kansas in 2005. While studying at KU, Jordan competed on KU's historic intercollegiate policy debate team, qualifying for the National Debate Tournament four times. After graduating from KU, Jordan attended the Beasley School of Law at Temple University in Philadelphia, Pennsylvania. He honed his litigation skills in Temple's trial advocacy program, receiving a Barrister Award for excellence in trial advocacy. While at Temple, Jordan developed a passion for indigent criminal defense, serving as an intern at the Public Defender Association of Philadelphia and participating in clinical programs at the Federal Public Defender's office in Philadelphia. After graduating from law school, Jordan returned to his home state and began practicing law for a small law firm that specialized in criminal defense. Then, Jordan served as a law clerk for a Circuit Court in Pulaski County for one year. After his clerkship, Jordan achieved his dream of practicing law on his own, and then co-founded Tinsley & Youngdahl, PLLC with Colleen A. Youngdahl in 2012. Jordan serves on the Board of Directors of the Arkansas Association of Criminal Defense Lawyers. Jordan also serves on the Criminal Justice Act panel for the Eastern District of Arkansas, and enjoys exercising his passion for indigent criminal defense in federal court. In addition, the Arkansas Public Defender Commission has certified Jordan for appointment to represent indigent persons charged with every crime up to Y felonies by the State of Arkansas, and he also enjoys working on behalf of indigent defendants in courts across the state. Jordan is also a member of the Class of 2014 for the Arkansas Bar Association's Leadership Academy. Jordan is admitted to practice in the State of Arkansas and the United States District Courts for the Eastern and Western Districts of Arkansas.